Accessing our God-given gifts, gaining access to the world for the good of all and the glory of God! Discover how you can embrace the challenge to fully accept the gifts women bring to ministry so that the Body of Christ may thrive and our churches may flourish. 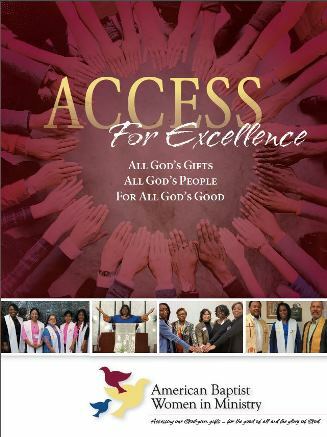 View the Access for Excellence Booklet. Read and watch the stories of how mentors have influenced the church’s leading women. How to create your mentor story: Learn how you can easily share your mentor story, making use of a smart phone or other device! WomenWord Spring 2017 Edition: Read about the new landscape of leadership women in ministry are bringing to the church’s table and discover how you can be supportive. Check out our campaign’s amazing progress thanks to donors like you and join their ranks! View our Donor Progress Report. 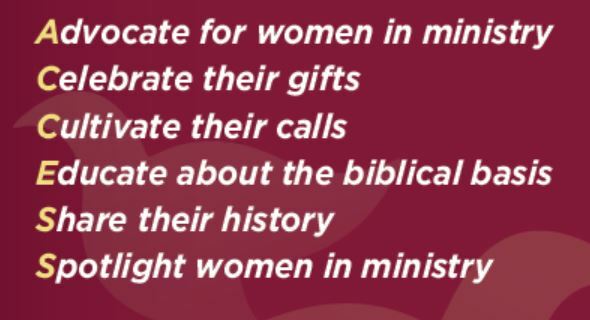 Support American Baptist Women in Ministry! Click here to view Dr. Sherry Anderson’s bio and abstract.